Your genome on a thumb drive? Family-sourcing health data? Endometrial Cancer and Bacteria? 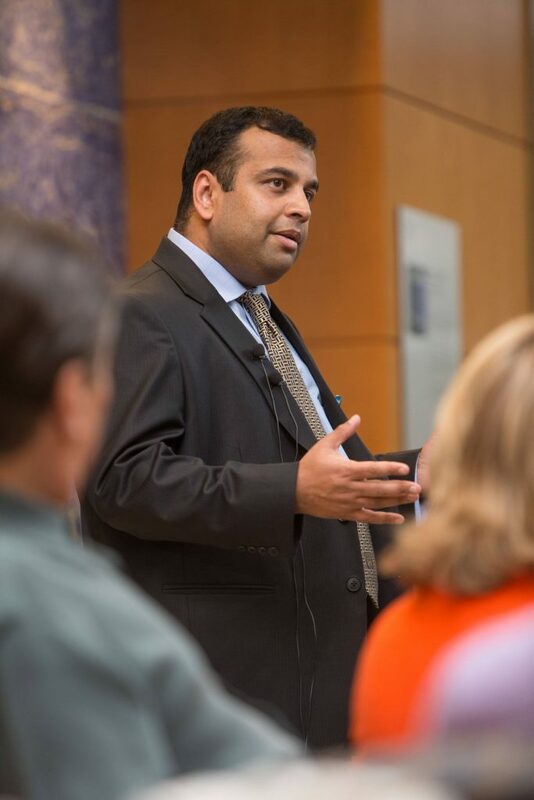 Those were a few of the precision medicine highlights discussed at the April 27 Center for Individualized Medicine (CIM) Open House, where the topic was "Changing Lives Through Research." 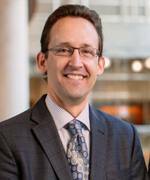 Surrounded by new, CIM-focused exhibits in the Mayo Clinic Research Information Center of the Gonda Building lobby, Scott Beck, associate administrator for the CIM, kicked off the open house. He outlined the history of DNA discovery from the structure of the double helix to the base pairs that make up the rungs of the helix ladder, as well as the progress of genetic sequencing from the ability to decode roughly 1000 bases a day to 40 billion bases in an hour. Future chapters may include innovations like blood tests for cancer recurrence or to determine fetal genetics, replacing invasive amniocentesis. You may even be able to sequence your genome at home using a drop of blood and a sequencer the size of a thumb drive. But interpreting that information, according to CIM genetic counselor Teresa Kruisselbrink M.S., C.G.C., is another matter. In her talk at the CIM open house, Kruisselbrink clarified that current commercial genomic tests are generally limited to rare genetic conditions caused by genetic changes in one gene. “Most of these conditions are pretty rare,” she said. “Most of us are unlikely to have these disorders in our lifetime.” The more common diseases like coronary artery disease, diabetes and most cancers are more complex, she explained. They result from environmental influence and numerous genetic changes, each which adds a small bit of risk and makes the genetic aspect harder to identify. So how do we determine where each person’s individual risk lies for these diseases? “One of the most important tools we use is family history,” Kruisselbrink said. Family history is the health story of your siblings, parents, and extended family. It included diseases that your family members lived through, died from, and the ages at which these events took place (create your own family history with this online tool). One word of caution though; families aren’t very good at knowing exactly what type of cancer each person had. But individualized medicine is more complex than the genome. It includes the unique mix of micro-organisms that live on and in each one of our bodies, called our microbiome. Purna Kashyap, M.B.B.S., and Nicholas Chia, Ph.D., whose research is covered in a recent Discovery’s Edge article, as well as associate consultant to the microbiome project Marina Walther-Antonio, Ph.D., who studies the vaginal microbiome, explained how they examine the role of microbes in healthy living and disease causation. Endometrial cancer is the fifth most common cancer, according to Dr. Walther-Antonio, and usually affects postmenopausal women around age 60. A key symptom is bleeding after a woman has entered menopause. 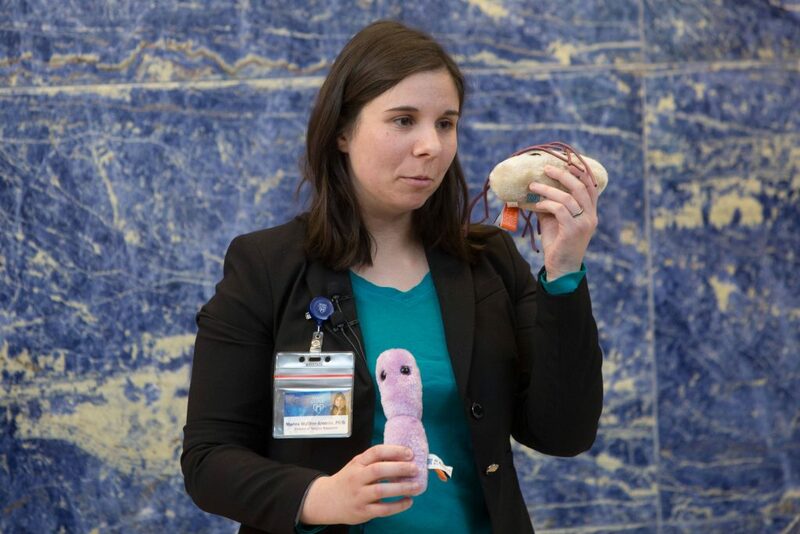 Dr. Walther-Antonio and her team compared bacterial communities within the uterus of cancer patients to non-cancer patients to see if there were any distinct differences between the two groups. Two microbes were associated with endometrial cancer: Atopobium and Porphyromonas. Atopobium is already associated with preterm labor, bacterial vaginosis and facilitation of infection by other bacteria like HIV and HPV. Less is known about Porphyromonas, according to Dr. Walther-Antonio, but its “cousin” Porphyromonas gingivalis lives on gums and causes bad breath, gingivitis, and tooth decay. Which is a good time to look at treatments. Dr. Walther-Antonio suggested some treatments might be directly targeting the microbes or even a vaccine for postmenopausal women. But those targets are still in the future. 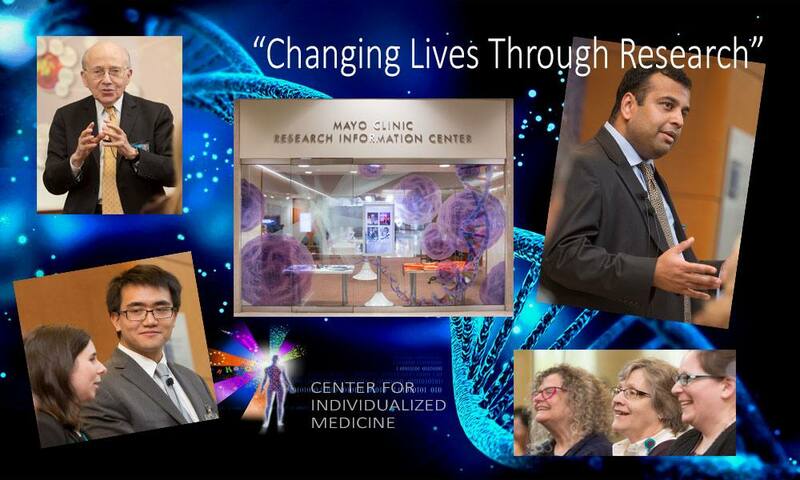 This common theme throughout the CIM open house was the promise of precision medicine. But changing the promise into practice for most patients is still a challenge. Dr. Nicholas Chia addresses the audience. 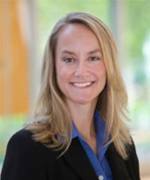 Sara Tiner is a science writer supporting research and education within Public Affairs at Mayo Clinic. The Center for Individualized Medicine display is open to the public and located at the Research Information Center in the lobby of the Gonda Building, Mayo Clinic, Rochester, Minnesota. The Research Information Center is open from 8 a.m. to 5 p.m. Central time, Monday through Friday. The display will run through 2016.